GreenBytes®, Inc., a developer of high-performance, energy-efficient inline deduplication data storage solutions, today announced that Chief Executive Officer, Robert Petrocelli, will be a featured speaker in the panel “A Comprehensive Approach To Reducing Data Center Energy Consumption” at Interop New York 2010. The Green IT panel will focus on helping data center managers develop a comprehensive green data center framework across their server, storage, network and facilities assets. Interop, the leading business technology conference, is taking place October 18-22 at the Javits Convention Center in New York City. The data center is a common starting point for most green IT initiatives. Data centers not only consume a tremendous amount of energy, but they are riddled with IT inefficiencies. Take, for example, the average server environment where 30% of servers are “dead” — consuming energy, but performing no useful work. And data center managers have ample opportunity to improve efficiencies across other IT systems, like storage and networks, and facilities equipment, like power distribution and cooling. This session will help data center managers develop a comprehensive green data center framework across their server, storage, network and facilities assets to deliver financial and environmental savings. Robert Petrocelli founded GreenBytes in 2007 and serves as chief executive officer. Prior to establishing GreenBytes, Petrocelli founded Heartlab, Inc. in 1994, a medical information technology company that was sold to AGFA in 2005. Petrocelli was awarded a patent on archival technology utilized for the long-term storage of patient data, including cardiology images, demographics and reports. The technology was later adopted as the accepted industry standard for the storage and exchange of this type of medical information. His expertise includes advanced technological knowledge in the medical device field, digital imaging/algorithms, digital storage, and high-performance networks. Petrocelli received the Ernst & Young Entrepreneur of the Year Award in 2001 and has made the Inc. 500 Fastest Growing Private Companies in America list four times. Petrocelli attended Brown University for his Ph.D studies and holds an MS in Computer Science and a BS in Physics from the University of Rhode Island. 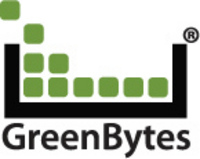 GreenBytes, Inc. is a provider of high-performance, energy-efficient inline deduplication storage appliances. Featuring the world’s fastest, most efficient next-generation Hybrid Storage Architecture (HSA), GreenBytes’ GB-X Series storage appliances combine highly innovative software technology and advanced power management design with a world-class server platform to address the storage and energy efficiency crises facing today’s IT operations. The GB-X Series features solid state technology for tunable IO performance, as well as the industry’s highest levels of scalability and reliability in an easy-to-use, cost-effective package purpose-built to bring the efficiencies of data deduplication beyond data protection and into the primary storage market. GreenBytes was founded in 2007 and is based in Ashaway, Rhode Island. For more information, visit: http://www.getgreenbytes.com. Interop® drives the adoption of technology, providing knowledge and insight to help IT and corporate decision-makers achieve business success. Part of UBM TechWeb’s family of global brands, Interop is the leading business technology event series. Through in-depth educational programs, workshops, real-world demonstrations and live technology implementations in its unique InteropNet program, Interop provides the forum for the most powerful innovations and solutions the industry has to offer. For more information about these events visit, http://www.interop.com.